An email from a vendor came the other day saying that their tools were designed to make conversion to ICD 10 easier. So my interest peaked until the reality sunk in that it was really just a sales ploy. 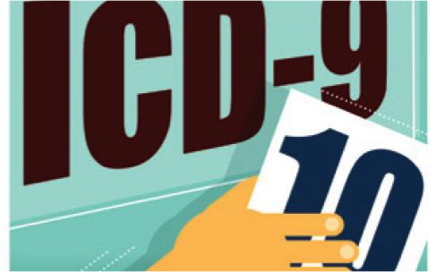 The reality is that conversion to ICD 10 is complex and requires months of preparation to be successful. The AAPC offers a mapping tool on their site, but do not make the mistake of believing it is 100% complete. Even after using the tool, your practice should pull the top 25-50 codes your practice uses and use the ICD 10 code book for accuracy and completeness. There are several specialties that do not have 1:1 cross over codes but 1:15 or more codes because of laterality and specificity. The AMA is asking congress to put off conversion because of the cost. But as one wise physician commented “ICD-10 is inevitable. Every other country already uses it. We have already spent plenty of time and money on this to stop and just start over later. It is not getting cheaper. The AMA needs to help us implement it efficiently and effectively instead of wasting time and energy stopping it.” No amount of study and money spent to stop ICD 10 will make conversion any easier. While “every other country uses it” is a correct statement, the real problem, in the US, is that other countries do not use for payment, but for reporting. And that is worthy of thought. Physicians in other countries do not know ICD 10 coding. They don’t have to know it. They have clerks who take documentation (often manual) and convert to ICD 10 codes. It is a costly and almost impossible enterprise not because the system is so hard to learn, but that it will be used to reimburse all healthcare providers. An already convoluted revenue stream will be turned upside down by ICD 10. And because payment models are changing anyway, why use a system for payment that no one else in the world uses? Instead of the AMA proposing a delay, why not propose to continue payment via the current system and use ICD 10 for reporting like all the other countries do? And what about the money already spent for ICD 10 conversion? The training done for coders and physicians is not wasted. Getting the providers to document the visits and procedures and diagnosis more accurately has been long suggested. System changes needed to support the additional code lengths will be needed for reporting purposes anyway. Most of the changes and increase in A&P knowledge will only help coders to be more specific in what they are doing now. Reporting using apples to apples codes for mortality rates and other important trends can still be accurately accomplished. Why put the healthcare industry through more trauma when it is really unnecessary?